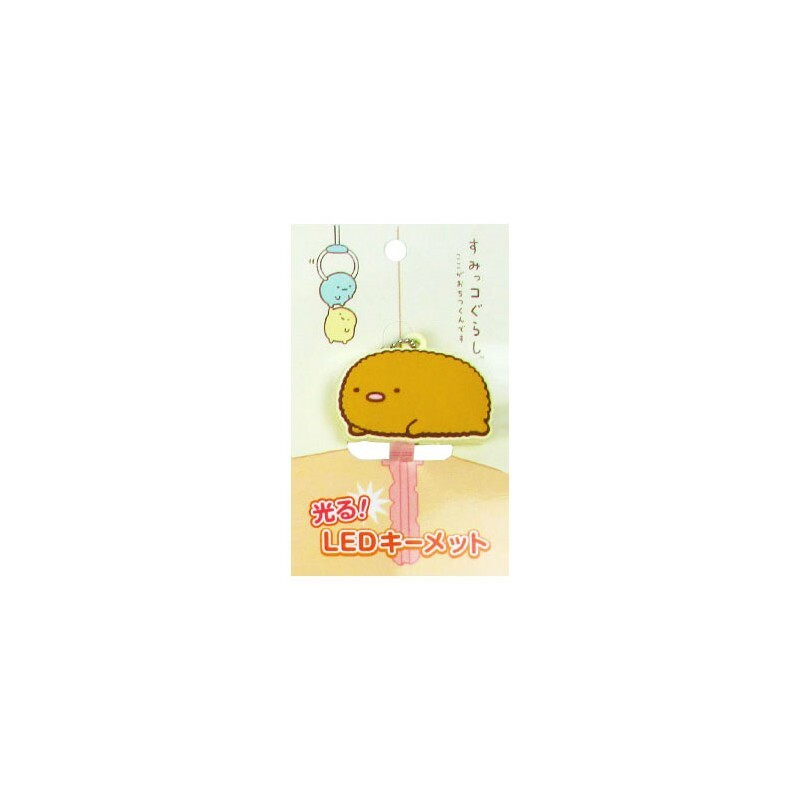 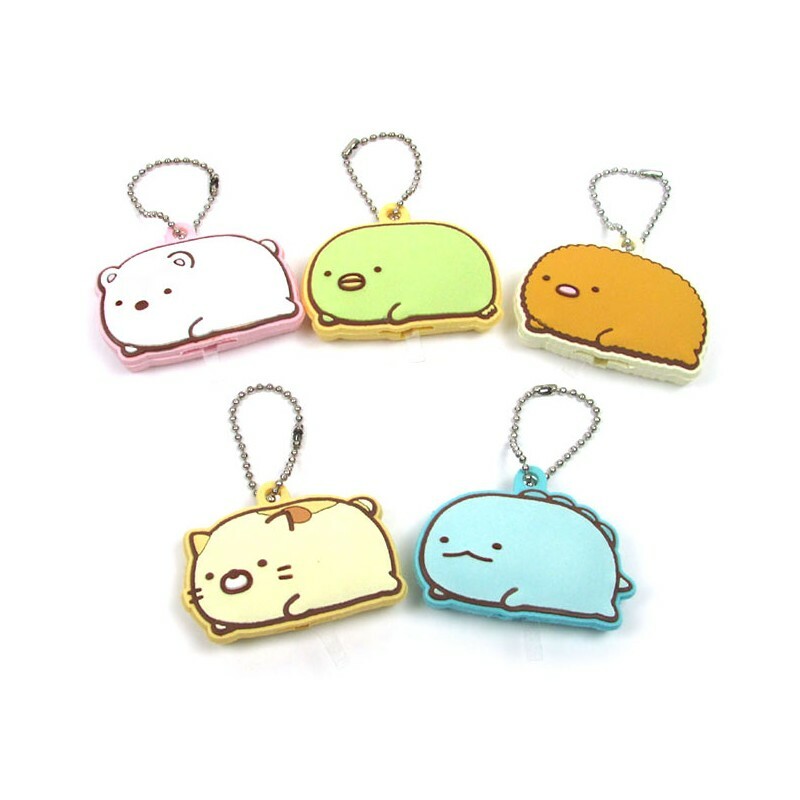 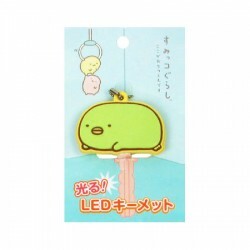 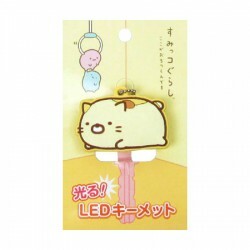 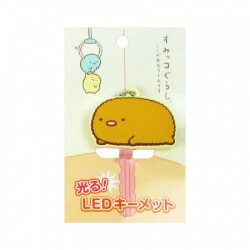 Super kawaii Sumikko Gurashi key cover perfect to make your key stand out with cuteness. 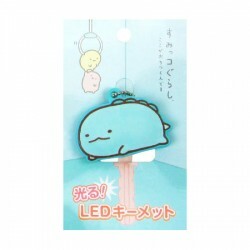 It includes a silver ballchain for hanging and has a built-in LED light to easily find your keyhole in the dark, just by pressing it down. 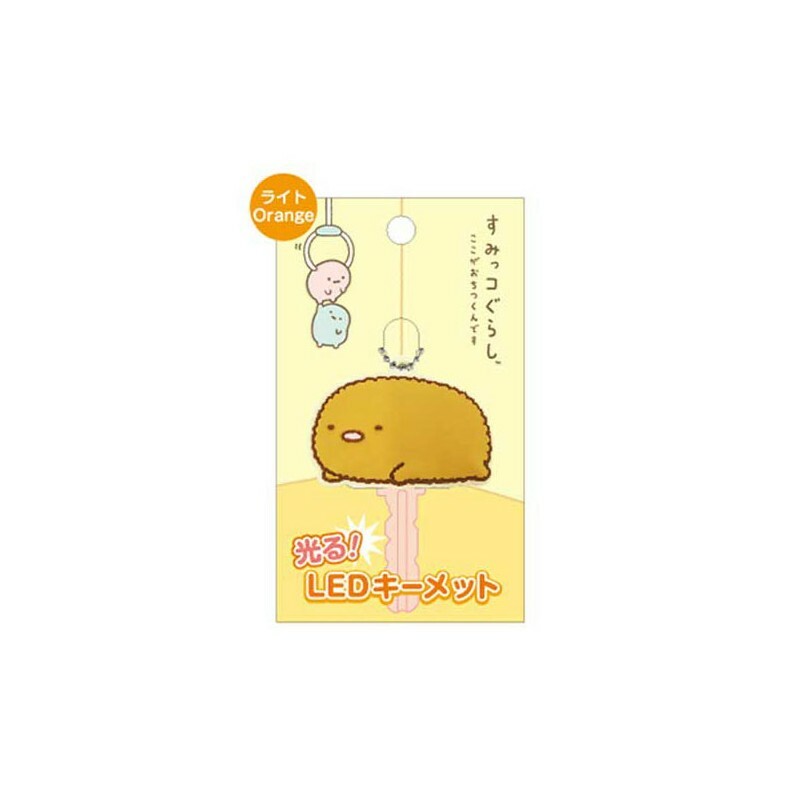 This rubber Tonkatsu character with cute little details will make any Sumikko Gurashi fan's day even cuter!